Hi everyone – I hope your week is off to a great start! 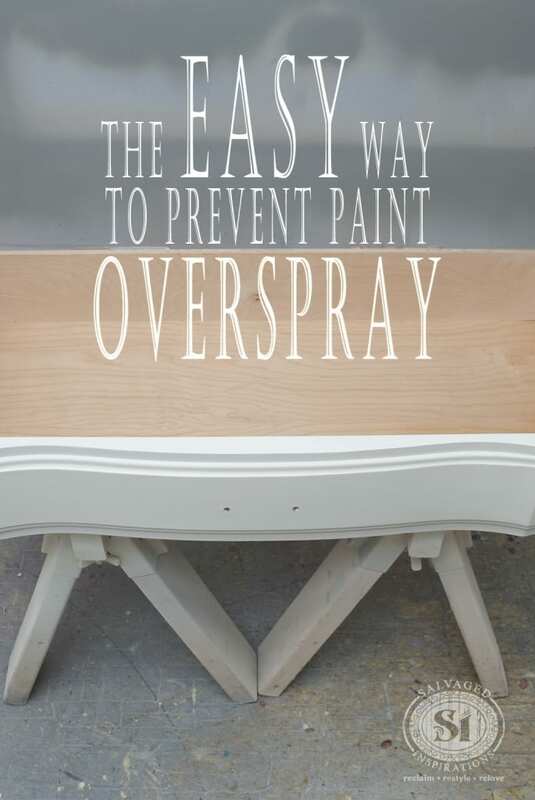 Today’s Quick-Tip-Tuesday (QTT) is an amazing tip for all of you who enjoy spray painting your furniture. 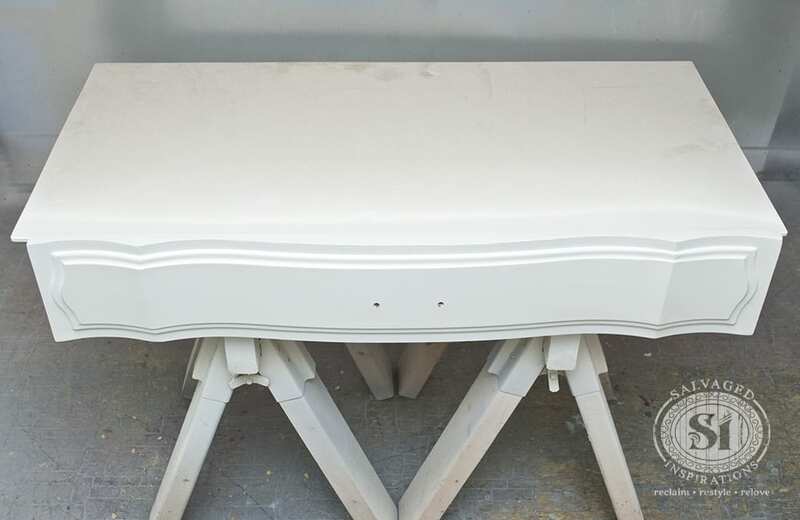 I use my spray-gun for about half of the furniture I restyle. I always have fun shooting paint. What’s not fun (and one of my pet peeves) is getting overspray on areas of my drawer that should be clean! Painters Tape or Masking Tape ~ Tape works really well but I don’t know of anyone who likes spending time masking off each individual drawer and then spending more time removing the tape afterwards. If you paint a ton of furniture, there’s also the cost of buying the painters tape and always having it in on hand. Fitted Sheets ~ This method works really well and can cover an entire drawer in one swoop. Where it lacks; even a light pressure from a spray-gun can catch the material and blow it off and/or up like a hot air balloon. To prevent this from happening, I used painters or masking tape to tape the sheet down. Again, it takes a little time to set it up before painting. Cardboard and/or Newspaper ~ Kind of same scenario as with the elasticized sheets above. 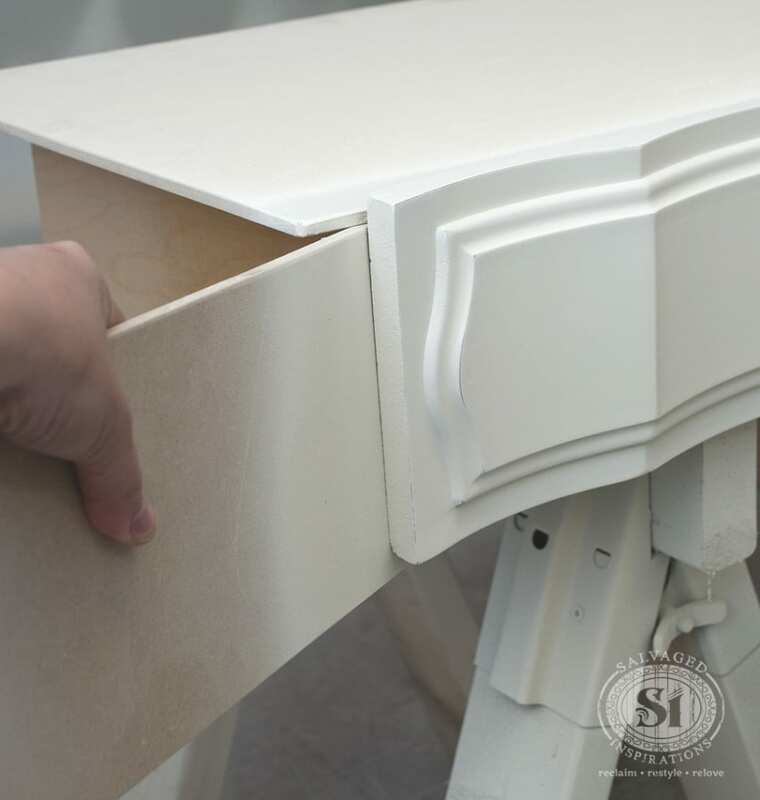 Covering the drawer with cardboard or newspaper works wonders but both can easily be blown off with the pressure of the spray gun if not taped down. After shooting paint for almost two years, this is the EASIEST way I’ve found to stop overspray on drawers… 2 Pieces of MDF Board – or any leftover ply-board will work! 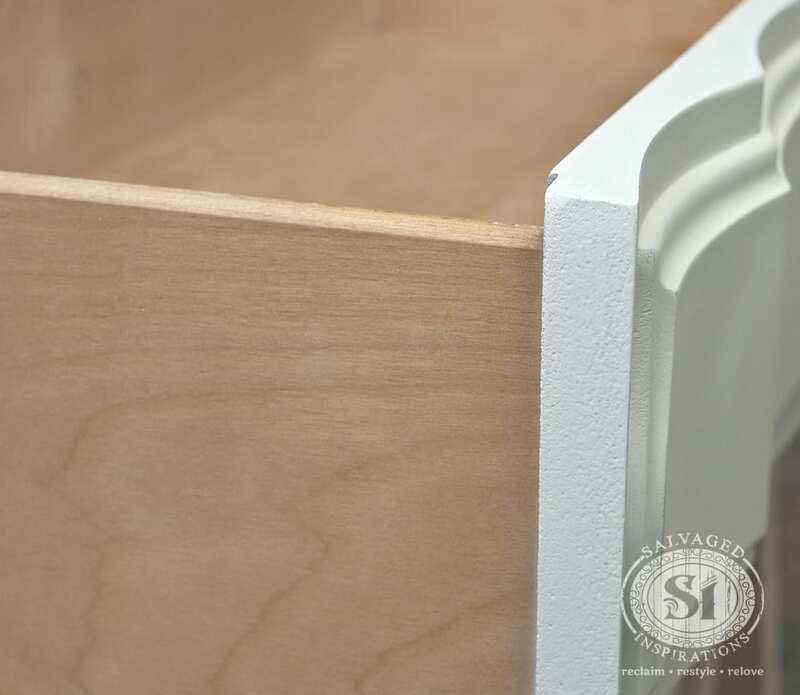 This board is cut at 36″ x 17″ (works with small and large drawers) to be place on the very top of the open drawer. Once it’s placed on top it ensures NO paint or overspray will get inside the drawer. Another thing I find that’s really helpful, I also like spray painting my drawers on an elevated work surface. Two A-Frames, a counter top, or any work bench works great. This allows the bottom of the drawer to overhang so I have access to all angles… including the very bottom of the drawer. I LOVE this MDF method! It takes me all of 2 seconds to plop this board on top of my drawer and grab my side piece. The weight of the MDF doesn’t move or shift while I’m spraying. AND it’s reusable over and over again! My drawers have never looked better! How do you stop overspray? If you have any tips or questions, feel free to leave a comment below! I always love hearing from you! Catch last week’s Q-T-T here – and if YOU have any ideas or tips you would like to share on the SI Quick-Tip-Tuesday-Series, send me an email! 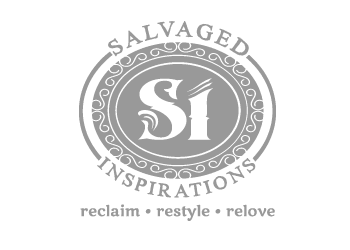 Great post – necessity truly is the mother of invention, isn’t it?! I typically use multiple colors on my pieces – this sounds helpful for keeping them from creeping into each other’s boundaries as they love to do! Just out of curiosity, do you paint only the fronts because you prefer the look or for function? I’m wondering if you find them to be sticky or anything when painted.. Or if you’ve picked up on what your customers prefer? If the wood drawers are clean, I usually leave them Emily. But here are a few things I consider before painting my drawers. DUH! So simple but genius. Thanks, now make me have that perfect touch to not make the paint run while multi-tasking with both hands and chewing on my bottom lip! LOL Love your Blog and your beautiful work as always. Getting ready to try to rescue my old metal patio furniture with a fresh new color and new fabric on the cushions. Great idea, Denise. I’ve purchased a spray gun but have yet to attempt to use it on furniture. 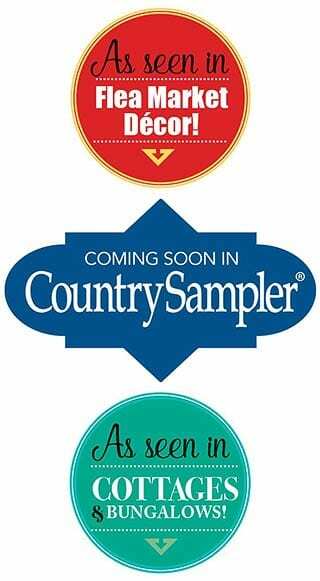 Ooooh, exciting Mary! 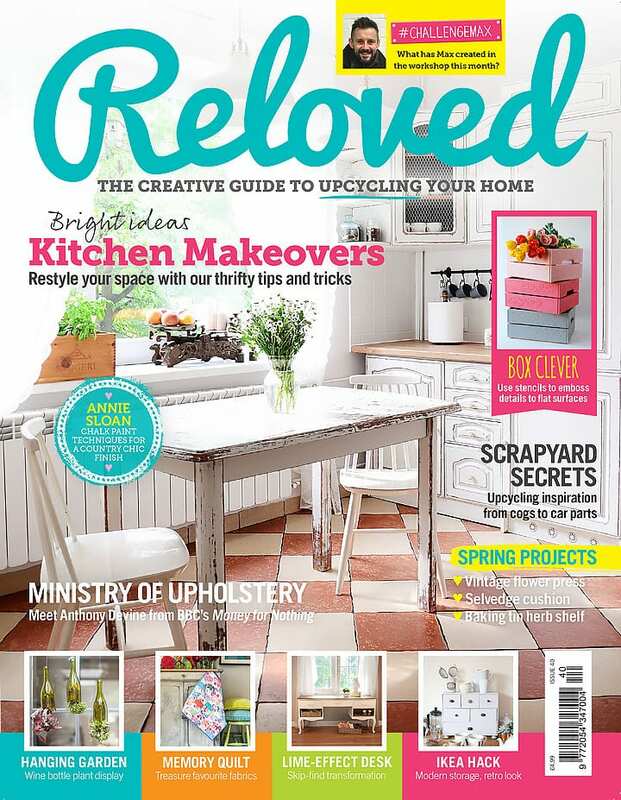 I just know whatever you restyle with your new spray gun will look AMAZING! Sandi is right. :))) Pure genius. I assume you hold the smaller piece of MDF/pressboard to the sides of the drawers if you paint the back side of the front of the drawer, yes? 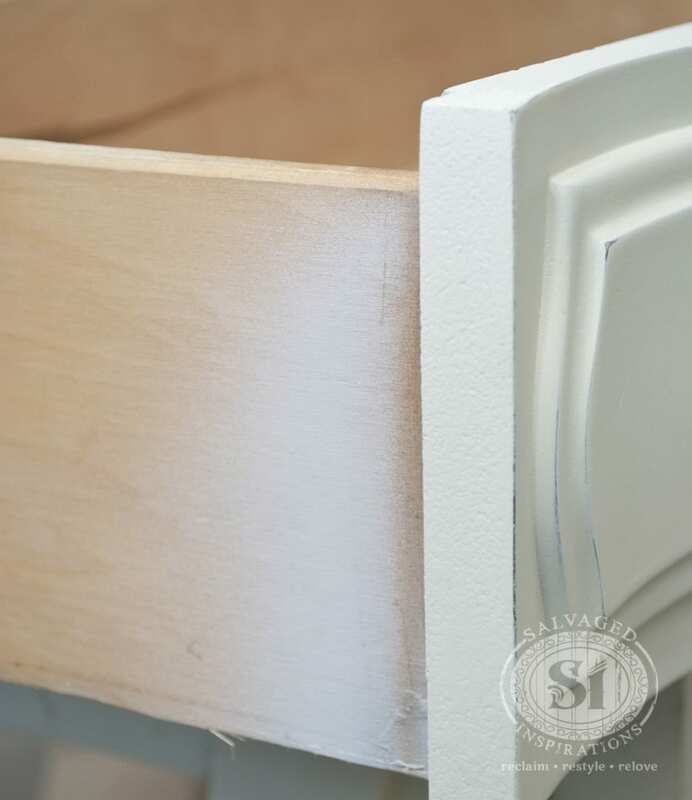 Do you paint the inside of the front of the drawer? Exactly Christina. I just adjust the smaller board as needed. As for painting the inside of the drawers, sometimes I do, sometimes I don't. It really depends on the cleanliness and shape the drawer is.